Pricing Guns There are 34 products. This listing is for a brand new Avery Dennison 1/8 pricing gun that includes 4,500 White peelable labels (3 rolls) and a replacement ink roller. The CAS1/8 price gun uses a 26mm x 12mm CT4 price gun label and has 8 digits allowing for pricing up to £9999.99. It also includes the Pound (£) and Euro (€) symbols in its character set. This listing is for a brand new Lynx Lite DBC 6 pricing gun that includes 4,500 White peelable labels (3 rolls) and a replacement ink roller. 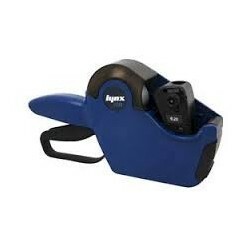 The Lynx Lite price gun uses a 26mm x 12mm CT4 price gun label and has 6 digits allowing for pricing up to £99.99. It also includes the Pound (£) and Euro (€) symbols in its character set. 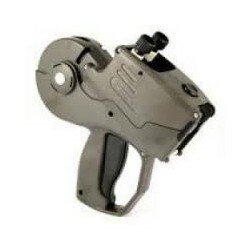 This listing is for a brand new Lynx Lite DBC 8 pricing gun that includes 4,500 White peelable labels (3 rolls) and a replacement ink roller. The Lynx Lite price gun uses a 26mm x 12mm CT4 price gun label and has 8 digits allowing for pricing up to £9999.99. It also includes the Pound (£) and Euro (€) symbols in its character set. This listing is for a brand new Lynx Lite DBH 6 pricing gun that includes 4,000 White peelable labels (4 rolls) and a replacement ink roller. 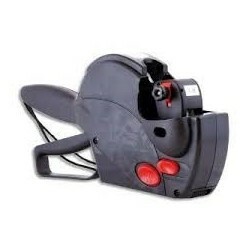 The Lynx Lite price gun uses a 22mm x 12mm CT1 price gun label and has 6 digits allowing for pricing up to £99.99. It also includes the Pound (£) and Euro (€) symbols in its character set. This listing is for a brand new Lynx Lite DBH 8 pricing gun that includes 4,000 White peelable labels (4 rolls) and a replacement ink roller. The Lynx Lite price gun uses a 22mm x 12mm CT1 price gun label and has 8 digits allowing for pricing up to £9999.99. It also includes the Pound (£) and Euro (€) symbols in its character set. The Monarch 1110 Price Gun part of the Monarch 1110 series. This monarch price gun allows print of 7 digits and can print prices up to £999.99 or batch numbers. 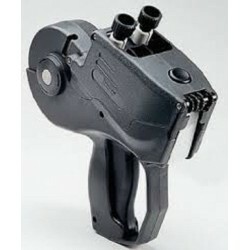 This monarch pricing gun uses the monarch 1110 price gun labels. 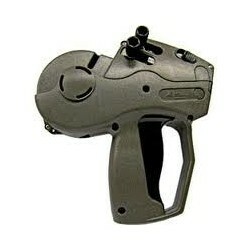 This listing is for a brand new Monarch 1131 pricing gun that includes an ink roller and instructions. The Monarch 1131 price gun uses a 20mm x 11mm Monarch 1131 price gun label and has 8 digits allowing for pricing up to £9999.99. It also includes the Pound (£) and Euro (€) symbols in its character set. This listing is for a brand new Monarch 1136 pricing gun that includes an ink roller and instructions. 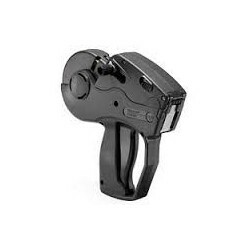 The Monarch 1136 price gun is a 2 line pricing gun and uses a 20mm x 16mm Monarch 1136 price gun label. It has 8 digits on the top line and 8 digits on the bottom. 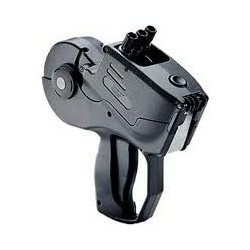 The Monarch 1152 Price Gun part of the Monarch 1150 series. This Monarch Paxar price gun allows printing of 12 digits on it's top line and 7 digits on it's bottom line. This enables it to print dates, codes and/or prices. 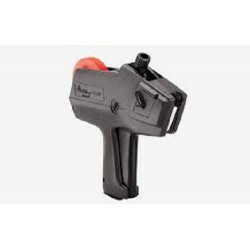 The Monarch Paxar pricing gun uses the monarch 1152 price gun label. The Monarch 1153 labeller is a 3 line labeller and uses a 31mm x 25mm Monarch 1153 label. The label it uses contains such information as 'Born In', 'Raised', 'Cut In', 'Cutting Plant No.' and 'Slaughter House No.' among other information which is required by EU legislation for traceability.